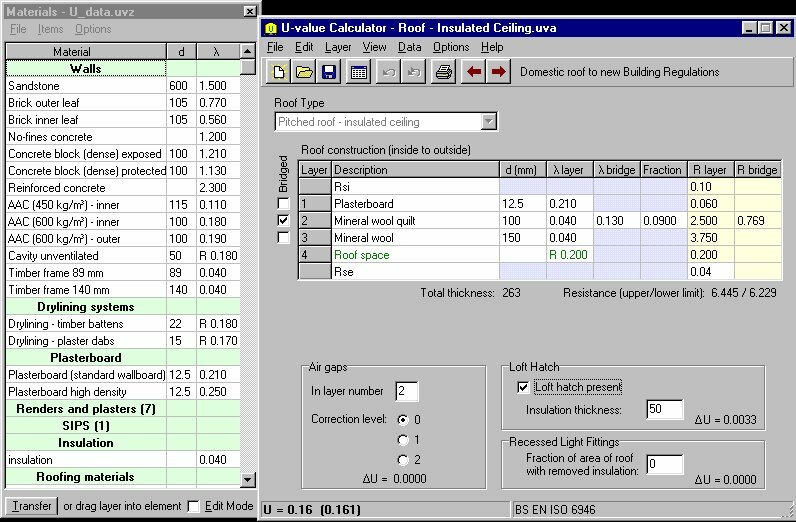 It covers most types of building element, except those that need to be assessed by detailed numerical analysis (generally those in which insulation is penetrated by metal, although the program does cover small discrete fixings like wall ties). Guidance on the use of the calculation methods is contained in BR 443 Conventions for U-value calculations. The program selects the correct method and the appropriate inputs according to the type of element being assessed. Changes to the data are immediately reflected in the calculated U-value, so that the effect of different options is readily assessed.